I’ll be the first to admit, I’m definitely not the biggest music fan on the site. I’ve never been into the concert-going experience either, but my passion for games made me give Video Games Live a chance. I was a bit apprehensive about the night at first, but was it worth it in the end? Kicking off the concert with a very metal-driven Castlevania medley was definitely a great opening to the event. Right away, the fun, cheerful atmosphere for the evening was set. Tommy Tallarico was an excellent host, keeping VGL energetic and lighthearted, providing plenty of laughs throughout. I was worried beforehand that he might come across as a bit forced or fake in enthusiasm like some hosts can feel, but he seemed genuinely excited and casually welcoming. I won’t go through every song played, but the music was hugely diverse, spanning all generations of video games. I’m glad they weren’t performed in order of release, instead interspersing old classics and contemporary tunes, keeping things from becoming predictable. From expected performances like Zelda and Skyrim, to some that caught me off guard like Monkey Island or weirdly enough, Foo Fighters, you’re never quite sure what’s coming next. There were some series that I wish were given recognition (no Mario or Halo?) but I think that speaks to the quality of the orchestra that I just wanted to hear more renditions of all my favourites. The lights and effects supplemented the music well enough; emphasizing the feeling these games give off through their soundtracks. The Metal Gear performance was a huge highlight, with a cardboard box roaming the stage and spotlights searching the crowd while the traditional “alert” music from the series heightened tension and made for an incredibly entertaining segment. This was however the standout from the more mild effects used, and more additions like this would make VGL truly a must see for video game fans. 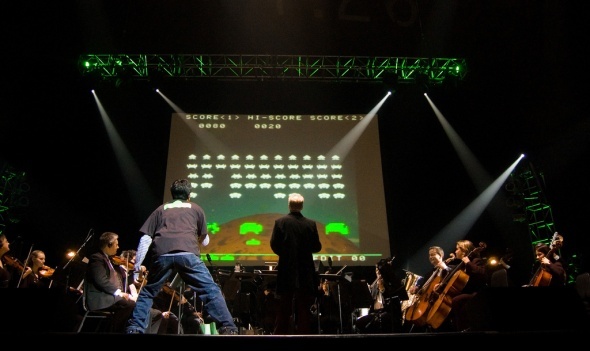 The music was often bookended by humorous video game-centric clips and audience interactions. The clips were short and cute, ranging from parodies to funny lists and the audience seemed to get a lot of laughter from them. Bringing people up from the audience was entertaining too, from having someone play Space Invaders while the orchestra played the ever heightening stressful music, to possibly the weirdest part of the night, Foo Fighters being played on Guitar Hero with accompaniment from the orchestra and Tommy’s guitar. These were great ways to break up the music, but sometimes felt like they took a little bit too much time to fully set up and end. Either way, as engaging or charming as these pieces were, I’ll admit I appreciated when the orchestra simply moved on from one song to the next swiftly. I think it’s telling that as the concert seemed to come to an end and the audience began chanting for more with the display flashing a “Continue?” screen, I was genuinely hopeful for an encore as well. I honestly usually get tired of concerts around two-thirds through, but I absolutely wanted the show to go on and to hear more performances of my favourite video game music. I appreciate and respect the message of Video Games Live, bridging the gap for old and new audiences, and showing the cultural significance of games and game music. I definitely felt a sense of pride for video game culture by the end, and can easily say I’m excited to see Video Games Live again someday. 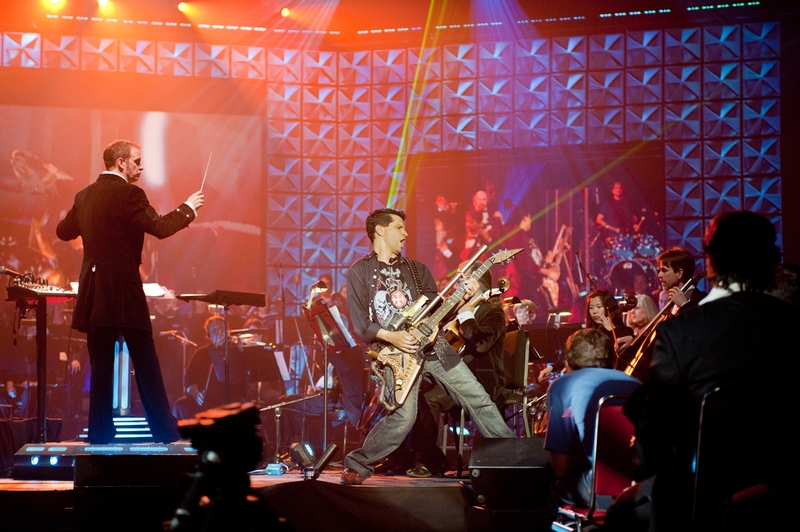 Whether you’re a fan of great music, or even just a fan of games, Video Games Live is a fun and exciting concert that will leave you smiling by the end.